* Load capacity 50 lbs. 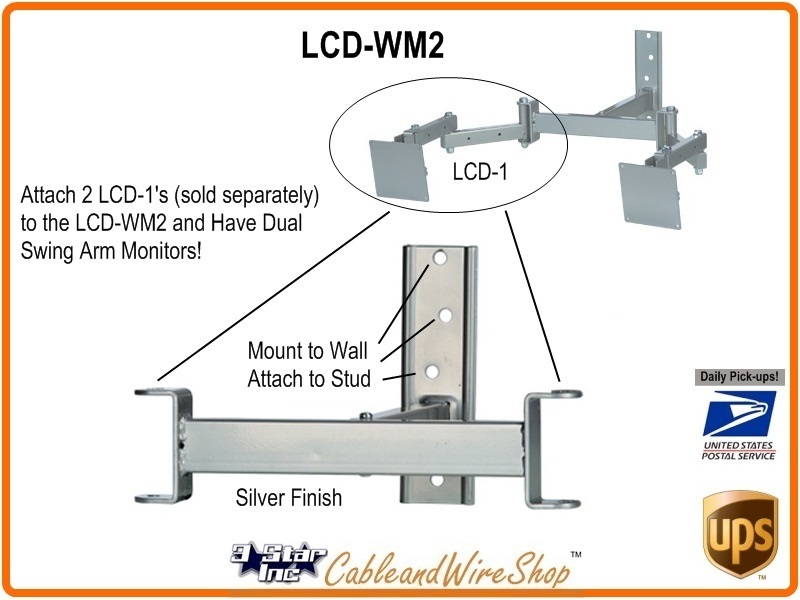 Allows attachment of (2) LCD-1 mounts (sold separately) with Arm extending 11 inches from wall and a Load Capacity of 50 lbs in a Silver Powder Coat Finish. This mount is designed to attach to a load-bearing member (single stud) or other suitable support surface and primarily composed of Tubular steel, arc welded, and with Nylon filled Nuts.